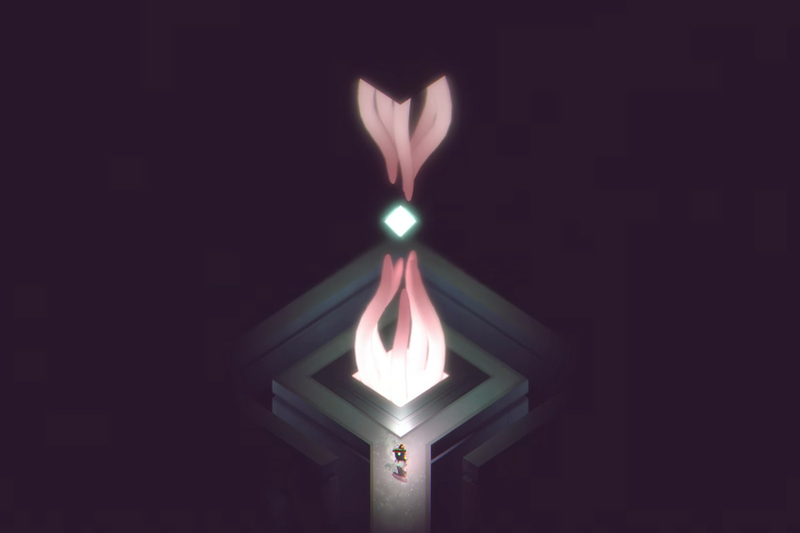 Below, a stunning-looking indie title from Toronto-based studio Capybara Games, is set to release on Xbox One and PC this summer. Capybara has said in the past the game would make its way out some time in 2016, but today announced the more narrowed release window at the Game Developers Conference in San Francisco. Not much is known about Below save what it looks like on the surface. Capybara has made a name for itself constructing indie mega-hits like Superbrothers: Sword & Sworcery EP and Super Time Force using a distinctive pixel art style that works equally well on mobile. Yet Below is an altogether unique and more ambitious project utilizing a bit more power from console and PC hardware — and it shows. The game uses a tilt-shift photography effect to blur our portions of the players’ field of view, exemplifying your character’s tiny stature and turning every frame of Below into a piece of modern art. The game asks your tiny character to fight against the forces of darkness that dwell inside a procedurally generated mountain, using swords and solving puzzles to press on into the beautiful gloom. Below is a roguelike — die and your progress is lost — and there’s also a comparison with Dark Souls to be made, as if that famously difficult game was made abstract and pressed into a 2D plane. I had some hands-on time with the game at Microsoft’s Xbox spring showcase last month, but the enigmatic experience left me with more questions than answers. Alongside its updated release window, Below also has a new trailer highlighting just how haunting and mystical the game seems. The nameless warrior, who has a Link from The Legend of Zelda vibe, appears to make contact with otherworldly, perhaps divine, artifacts as he or she continues descending into the darkness. Beyond that, Below is a mystery we’re eager to explore.